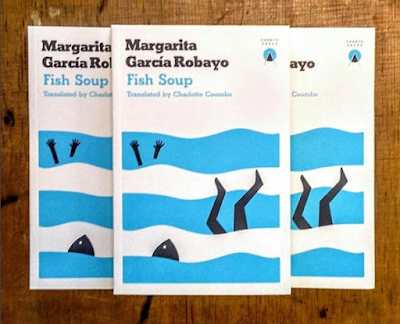 Our Book of the Week this week is Fish Soup by Margarita García Robayo, comprising two novellas and a swathe of short stories from this exciting Colombian writer. Each of the stories portrays characters grappling with, or pushing against, the limitations of their situations, their capabilities or their pasts, fatally drawn to whatever it is they lack, their intentions too easily derailed (or revealed) by their encounters with others, seemingly oblivious of the consequences of their actions until it is too late (at least for them). 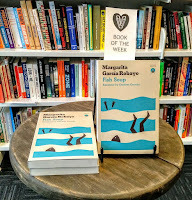 >> An extract of Fish Soup. >> The author reads (in Spanish). 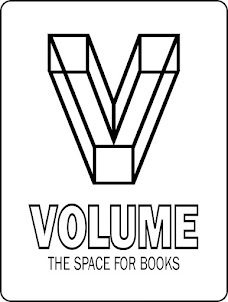 >> The book is published by Charco Press, a tiny press based in Edinburgh, bringing Latin American authors into English. >> The cover is designed by Pablo Font. See some more of his work. >> Carolina Orloff of Charco Press on Latin American literature. >> Other Charco Press books at VOLUME. >> Also published by Charco Press, Ariana Harwicz's indelible Die, My Love was long-listed for the 2018 Man Booker International Prize. Read Thomas's review.